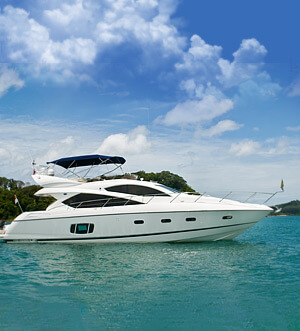 A rent of the motor yacht “Princess 64” in Phuket provided by the company “Thai-Charters”. 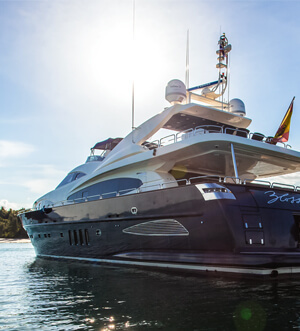 The motor yacht “Princess 64” combines a sporty hull and modern interior. 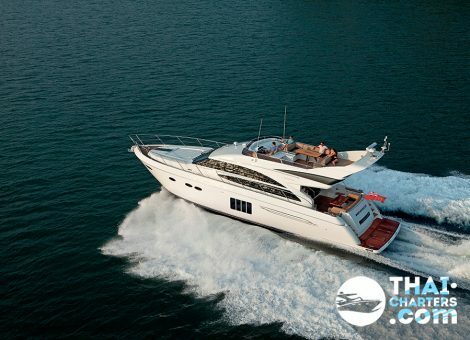 Sports gliding super maneuverable yacht 19.45 meters long will surpass all your expectations. 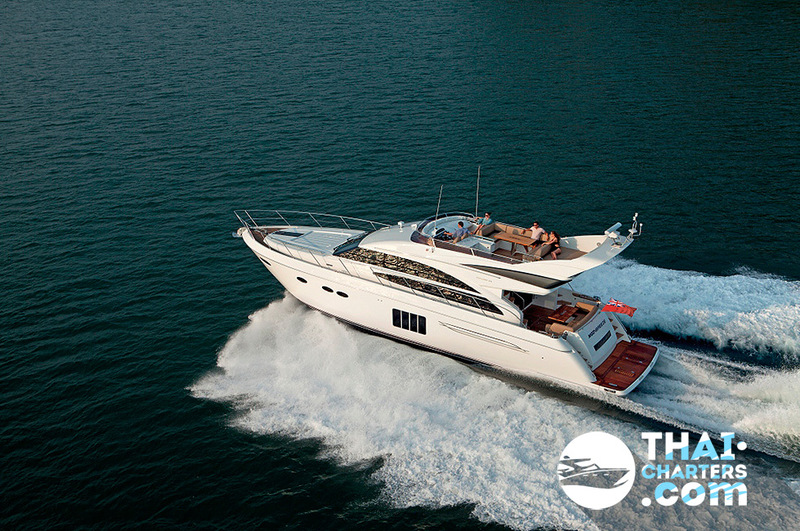 This excellent and stable yacht is less susceptible to motions, and also it is roomy and ergonomic due to its hull design. 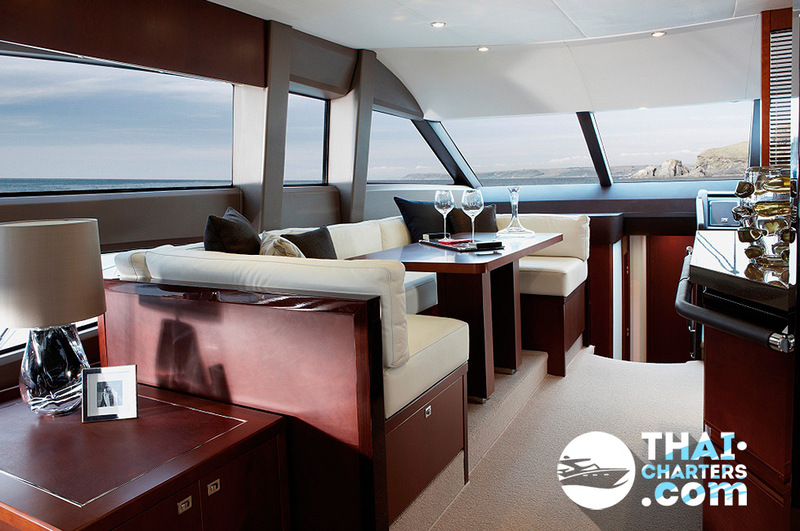 The flybridge made by using a teak tree is ideal for lunch in the open air and enjoy the seascapes. 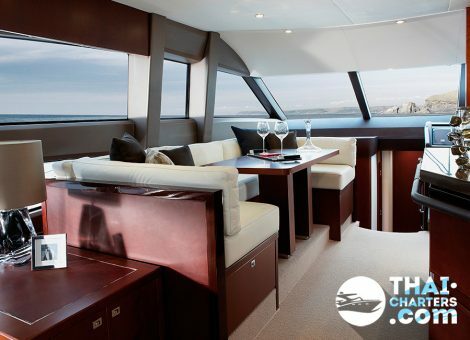 There is also a large teak table, a soft zone, a barbecue and a sink, a bar where 10 people can comfortably accommodate. The platform for swimming with electric drive allows you to easily go down to the water, to do diving or ride a wave runner, hence all water sports on this yacht will bring you a double pleasure. 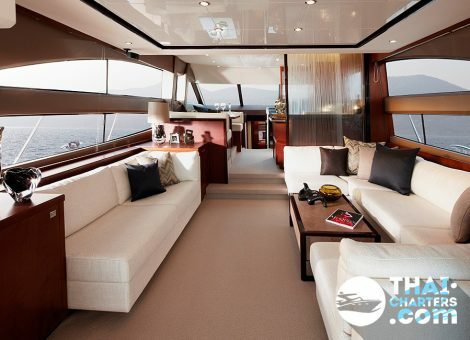 The saloon and all the interior spaces are furnished with exquisite taste and well-lit. The galley and the entire dining area on the main deck are located in the front of the saloon and are separated by a glass electric door, which provides a stunning landscape view. 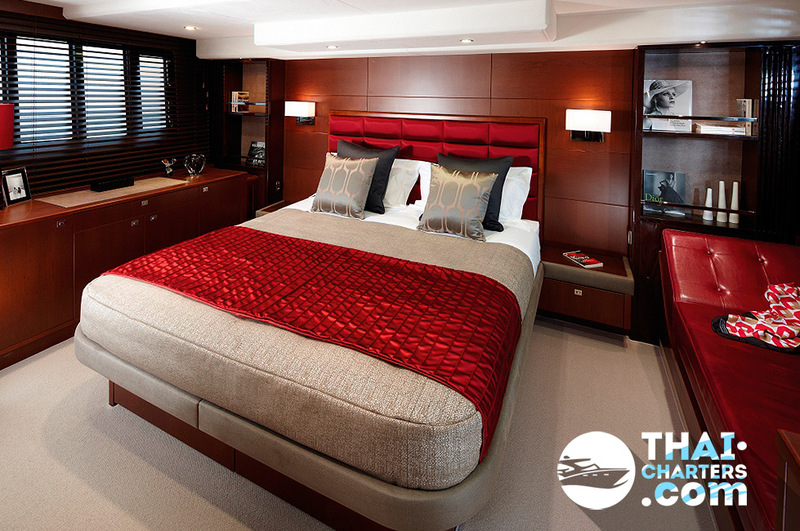 Motor yacht “Princess 64” is equipped with 4 cabins, three of which with their own bathrooms, which is not typical for this class of yachts. 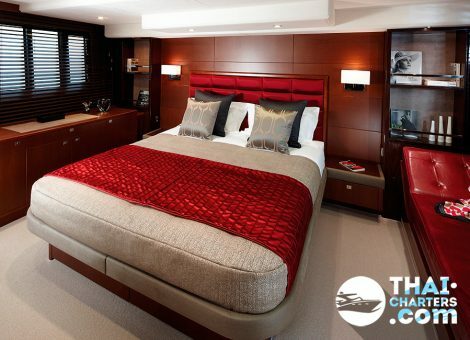 This fact will surprise the guests both on a long-term voyage and on a one-day cruise. 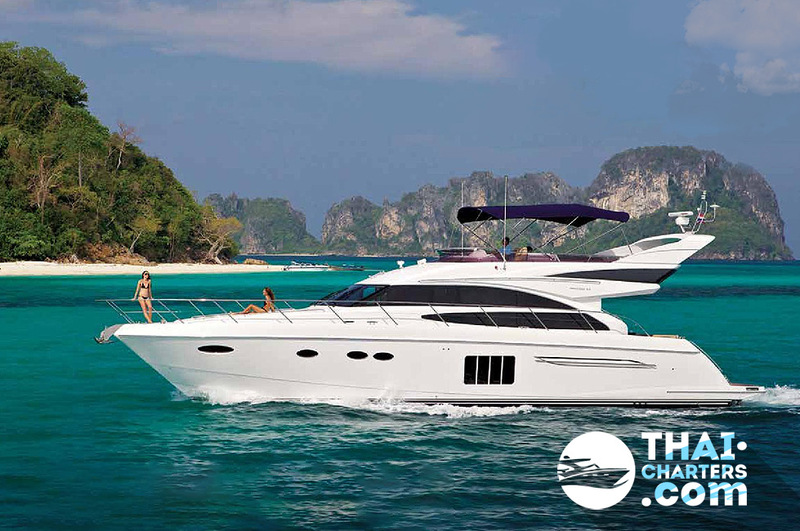 If you still have some questions “Which direction to choose from Phuket?”, please see our photo gallery section, where you can find names and photos of the islands! 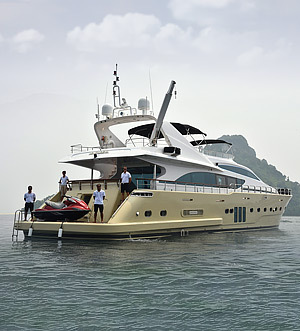 Or our manager will offer you all suitable variants – just call us at a phone in the header of the site!